I still can't believe I am writing this...it still seems so surreal that I was just in Scotland! Scotland has always been a dream of mine to visit one day, but I never expected it to be this soon. However, when I found out that one of my friends from High School was studying abroad in Glasgow Scotland we started talking about the possibility of my visiting her while she was there. 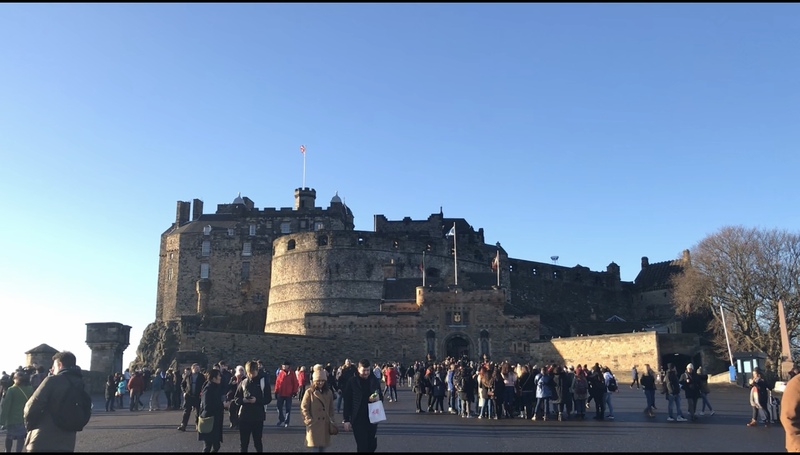 After we worked out the larger specific details like schedules and a time that would work best for each of us all the pieces started to fall into place and before I knew it I was on my first International trip headed to Scotland! Scotland has always been top on my list because my family heritage traces back to the country. My last name is "McQuary" and it hails from one of the original Scottish clans "MacQuarrie" from the Isle of Ulva. 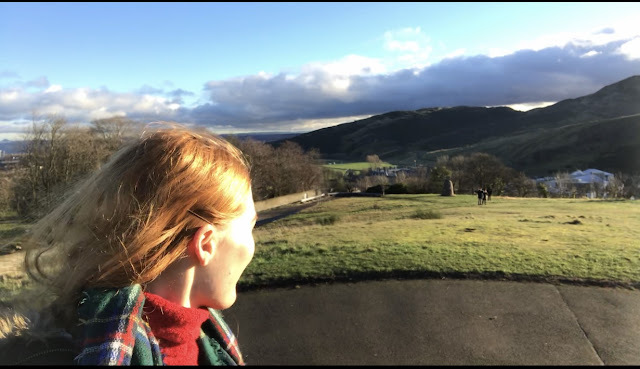 I have always been intrigued by my Scottish heritage and having the opportunity to visit the country and explore it a bit more in person was such an adventure. As someone who quite fancies most anything British or Scottish when it comes to shows and films, I have always held my own idea of what Scotland would be like, and honestly it met most every preconceived notion I held about the country. Scottish accents are even more so one of my favorite accents, and truly nothing compares to hearing the accent in real life, not to mention that the Scottish accents in Glasgow (known as "glaswegian") are one of the strongest Scottish accents in Scotland. 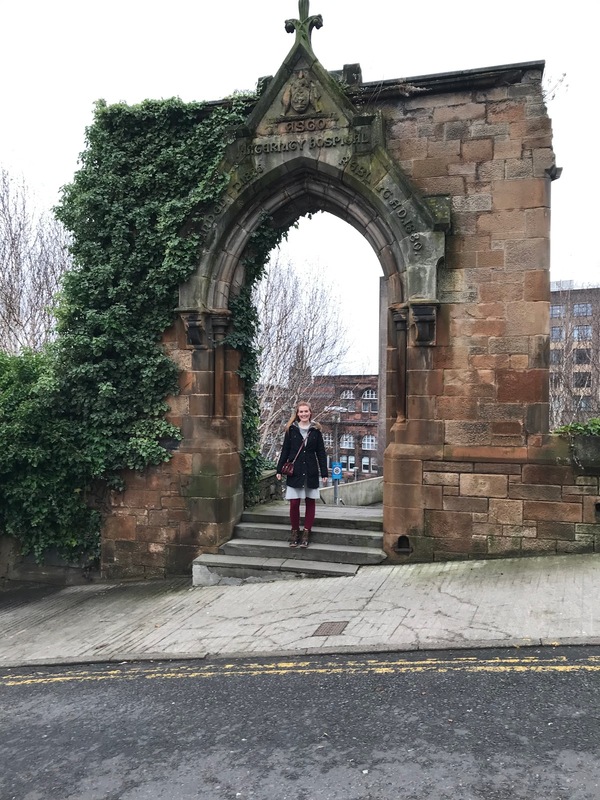 While this trip only gave me a small taste of all that Scotland has to offer, it definitely fueled my fire for exploring more of the country and culture. 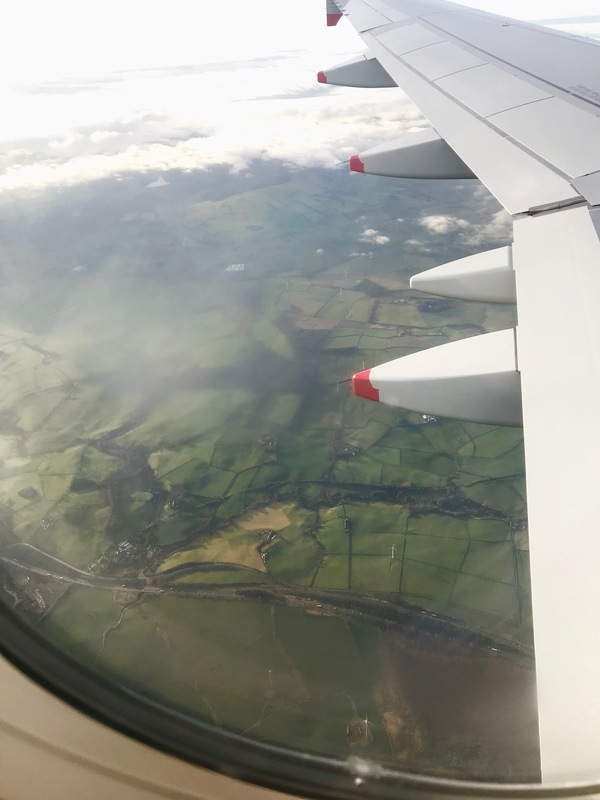 In fact, Glasgow is known as the "working city" in Scotland is is much more Industrial than many places in the country, so while it has a lot to offer it doesn't nearly hold all that Scotland has to offer in regards to green countrysides. 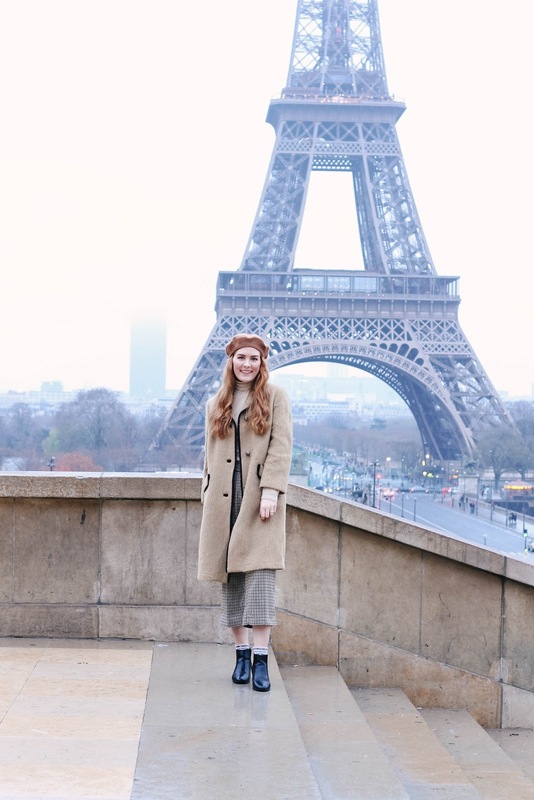 My trip was about 7 days long, but only 4 of those days were spent in Scotland because we took a short trip to Paris in the middle of my time there (I will share more on that trip soon), even so my time there was exciting. I visited a castle, saw the green rolling hills, experienced a new country, admired ancient architecture, listened to a beautiful language, tried new treats and food, traveled via public transportation and basked in the strong history and heritage. There is so much to be gained from visiting other countries and cultures, and Scotland definitely had it's fare share of differences from America such as the sparse use of sugar in coffee and lattes, little salt in recipes, a fabulous and handy transportation system, the bustling city life surrounding traditions, their love for their own unique culture, and so much more. 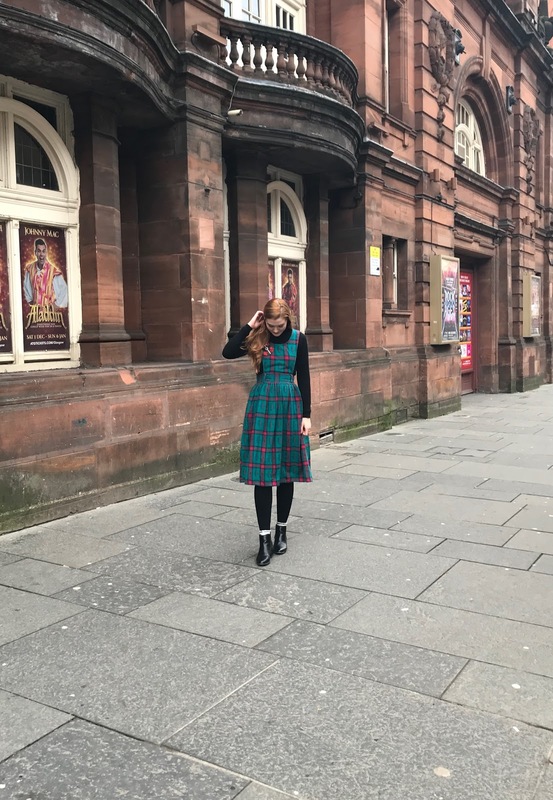 I adored the fact that people in Scotland know how to dress "stylishly" for winter and are experts at making any type of boots look cute.....they are truly ahead of the game when it comes to classy fashion & pull off jumpers, plaids, and dresses fabulously! They embrace their love for keeping young and holding on to their youth as you can find many middle age women with dyed or color accented hair (often blue or purple). Days spent wandering through parks are normal to them and they relish spending time in the great outdoors whether it be taking their dog for a walk (most of which the dog roams free off a leash), riding their bikes along paths, visiting historic landmarks, or hiking around town or trails. In Glasgow (and most other parts of Scotland) people walk to where they need to go or take the always available buses or metro (which runs in a circle and is 100% less confusing than New York). They love their tea, but Scots also still love coffee and scones and biscuits are a daily treat on their menu. I did find it quite humorous though that many Scots actually like American TV and sometimes prefer it over British, which is even more comical considering so many of us are partial to British TV over American. The same can be said for travel and adventure as many Scottish people want to visit America or even move here while we Americans always want to visit Scotland! Needless to say, my trip was definitely one to remember with many memories made and even more to be made in the future! I will be sharing more on the blog soon but for now I have included my travel Vlog to give you a closer look at some of the things I did and saw while in Glasgow Scotland. Have you ever visited Scotland? Is Scotland a place you want to visit one day? If you don't follow me on social media you might not know that this December (in exactly 7 days) I will be headed to the UK! 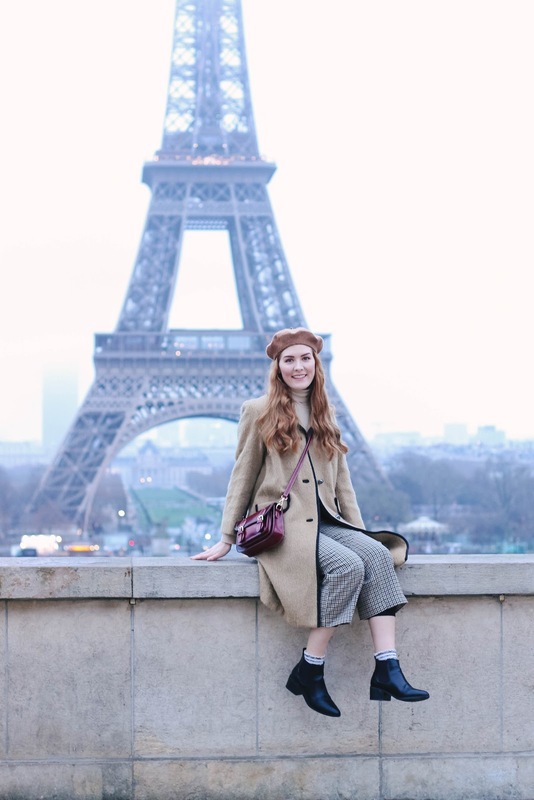 I have a friend who is studying abroad in Glasgow Scotland and thought this was the perfect excuse to fulfill my dream of traveling to Scotland as well as taking a quick trip to Paris while there also. If you have been around for awhile you might also know that I LOVE to dress for the occasion or location....it might seem "extra" but as a blogger I always think in advance and plan my outfits around where I am going or the location I am visiting, so you can imagine how in depth I have thought about what I will pack for my trip to Scotland and Paris! Scotland is near and dear to my heart, not simply because it is a beautiful country filled with such mystical wonder, history, and breathtaking sights, but also because it is part of my heritage. I am part Scottish, so that in itself makes me EXTRA excited to visit the country my ancestors were from. 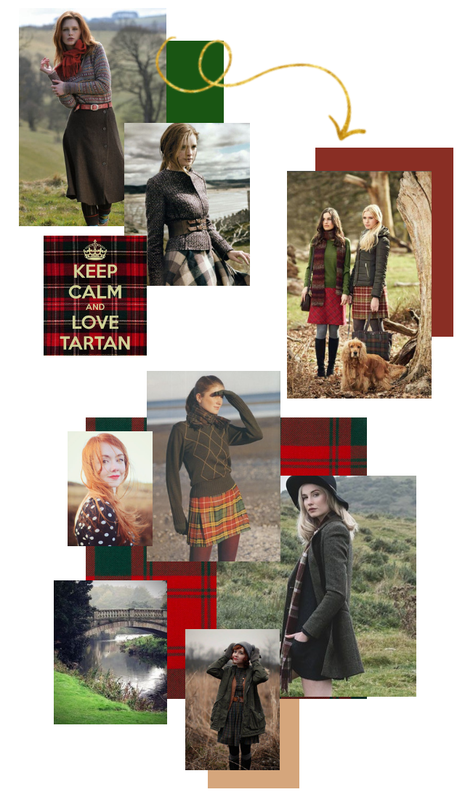 I have always had a vision of Scottish fashion, while plaids are an understood staple of the country, I have always envisioned dark/neutral tones mixed with a bit of menswear, wool, boots, and scarves. While I haven't completely narrowed down what pieces from my wardrobe will be coming with me, I do know I will be bringing a couple of wool skirts, a couple of plaid prints, plenty of sweaters in dark neutral or burgundy colors, a beanie hat, beret, boots, and patterned socks.....needless to say the inspo above definitely captures what I am going for style wise! 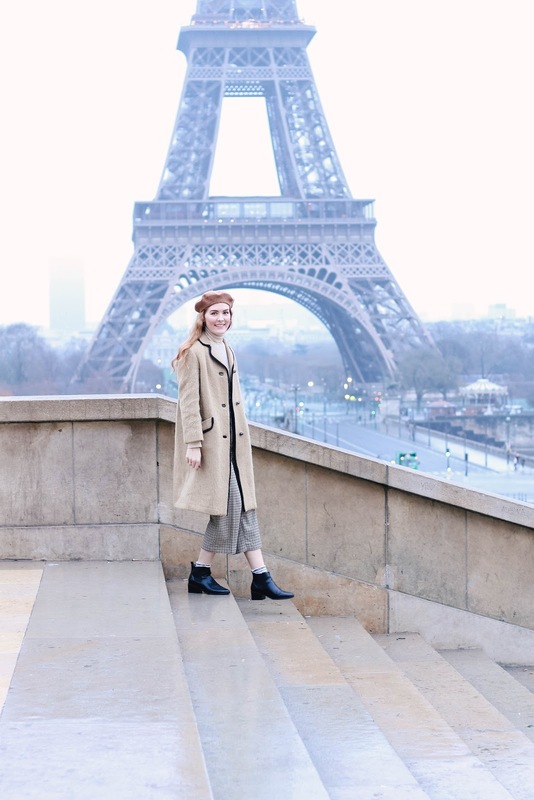 Ah Paris.....probably one of the most "Chic" countries in the world in regards to style. 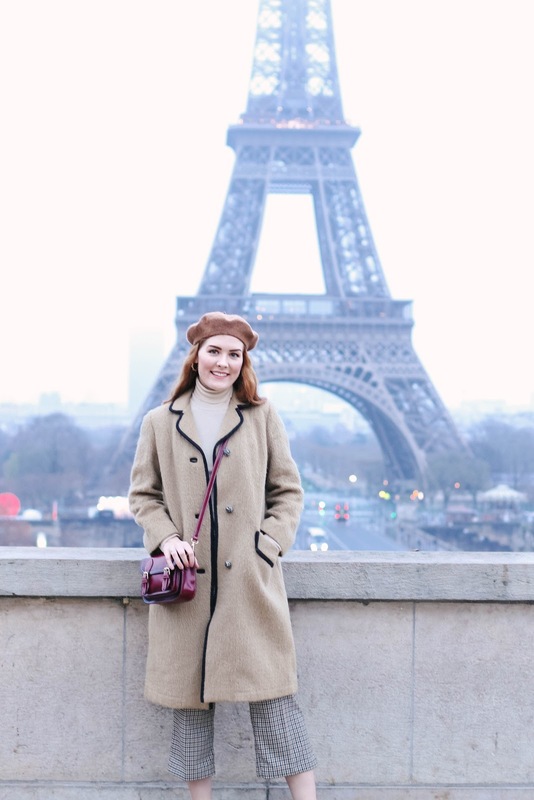 Anyone who travels to Paris is usually aware of their style and anyone familiar with the city knows that style and fashion are a huge part of it.....not to mention there are definitely signature pieces and accessories that we all know and love. 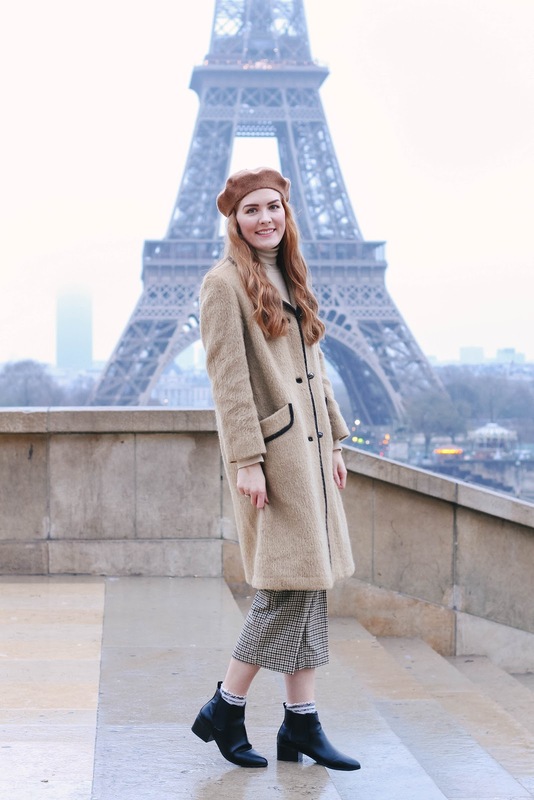 Paris fashion can be described as chic, effortless, classic, polished, and at times uniquely simple. 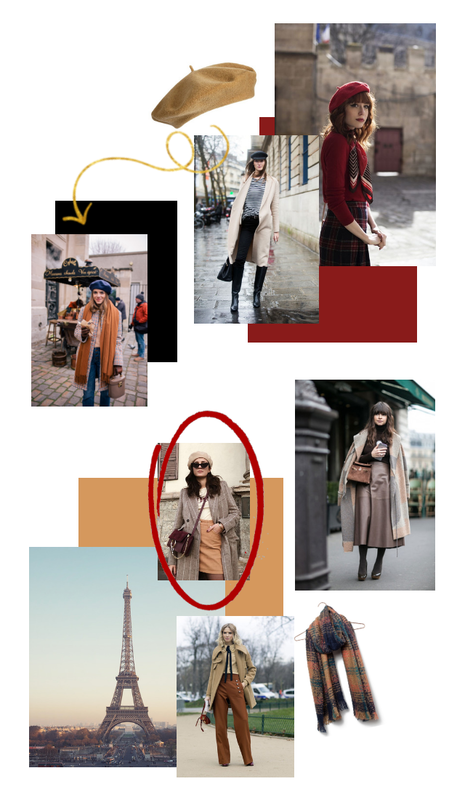 It is full of light neutral colors, stripes, sparse plaids or trendy prints, feminine details, classic pants/skirts, ankle boots, trench coats, and beret hats (or really any type of hat). 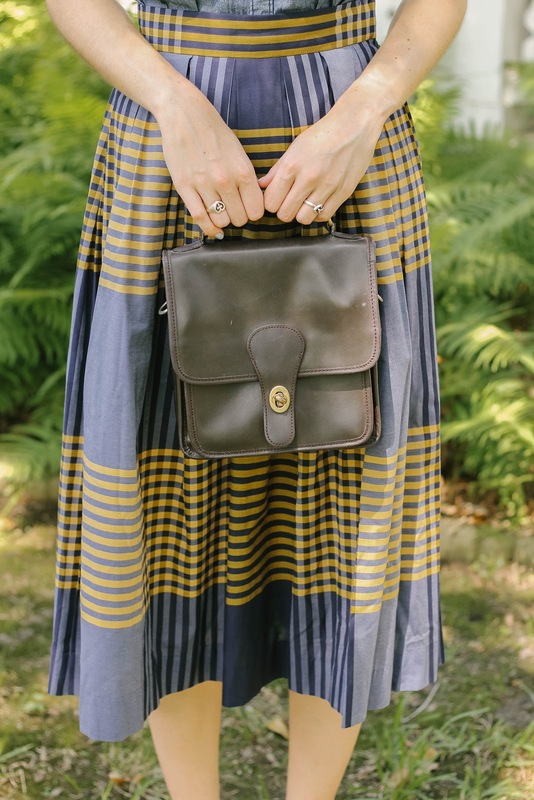 My Paris fashion definitely differs from my Scotland style, but still incorporates key pieces. 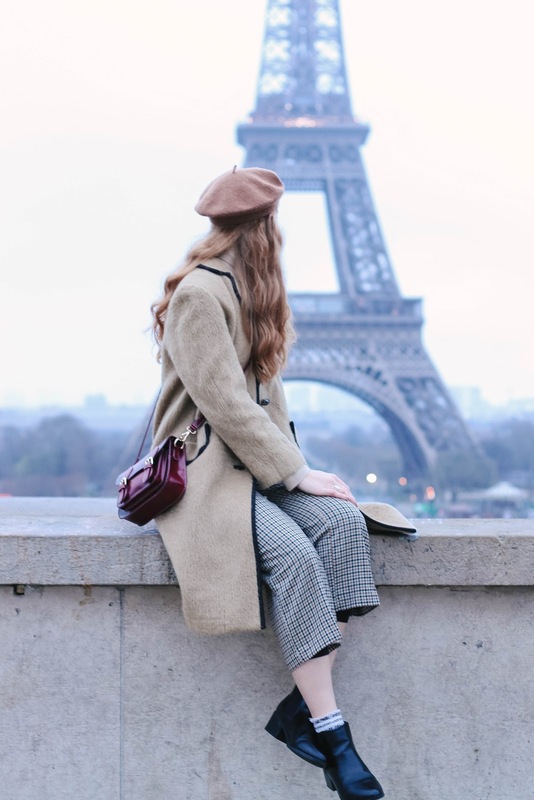 My Paris style focuses more on black, tan, and red with an overall simple and put together look. 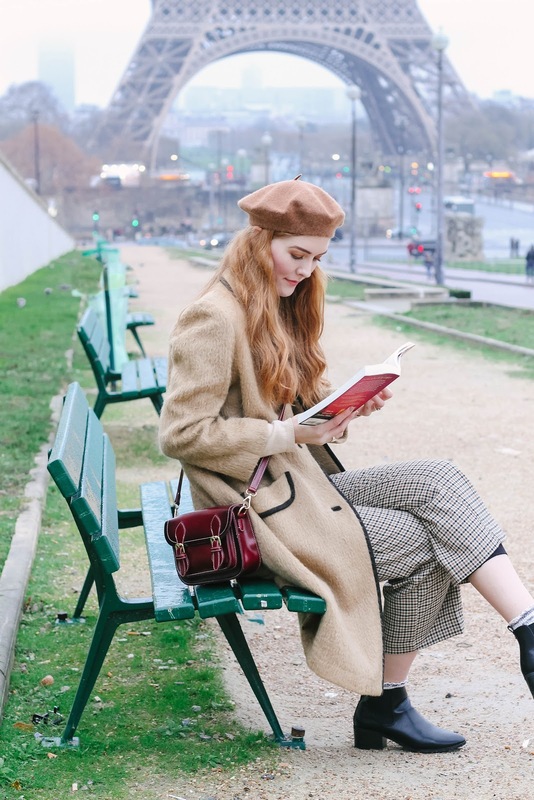 Berets are definitely a signature style for Paris and rest assured that I am taking plenty of them. 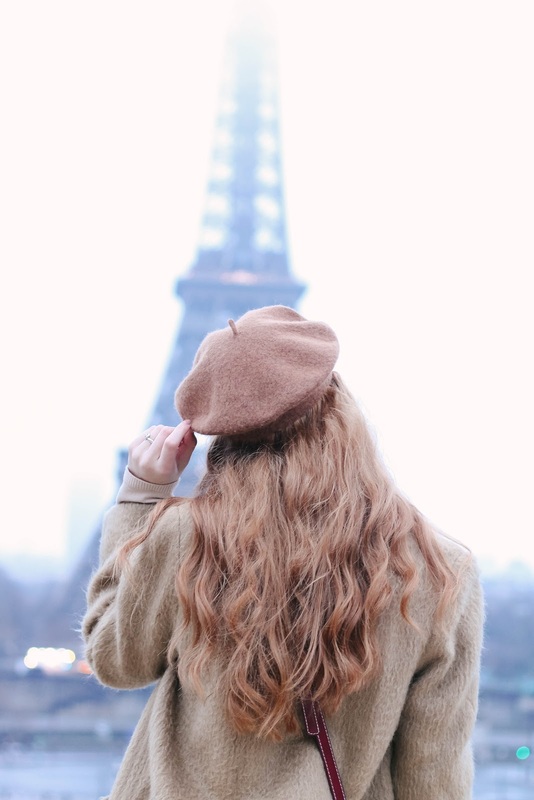 We will only be in Paris for 2 days (New Years eve being one of them) so I don't have to pack a ton for this short trip, but considering it is Paris I am definitely planning around the style of the city. The above inspiration definitely captures the looks I am going for! Stay tuned for more travel posts and details on my trip! Have you ever been to Scotland of Paris? 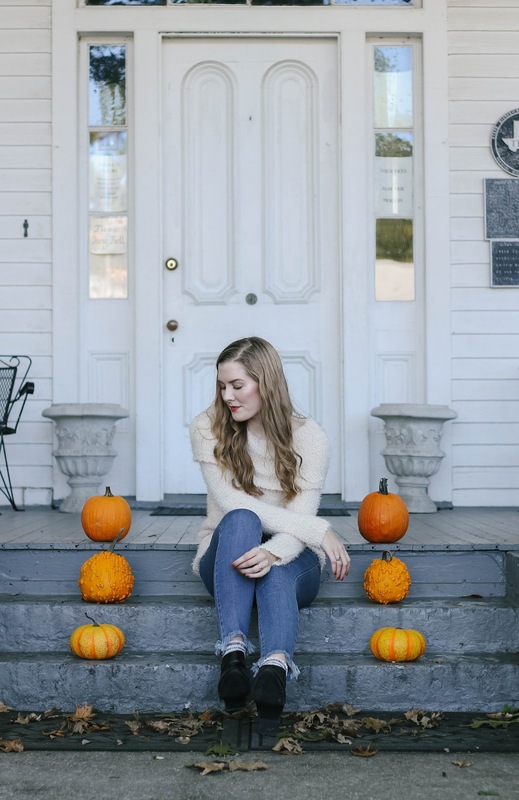 I don't know about you but I tend to wear the most denim in the fall. 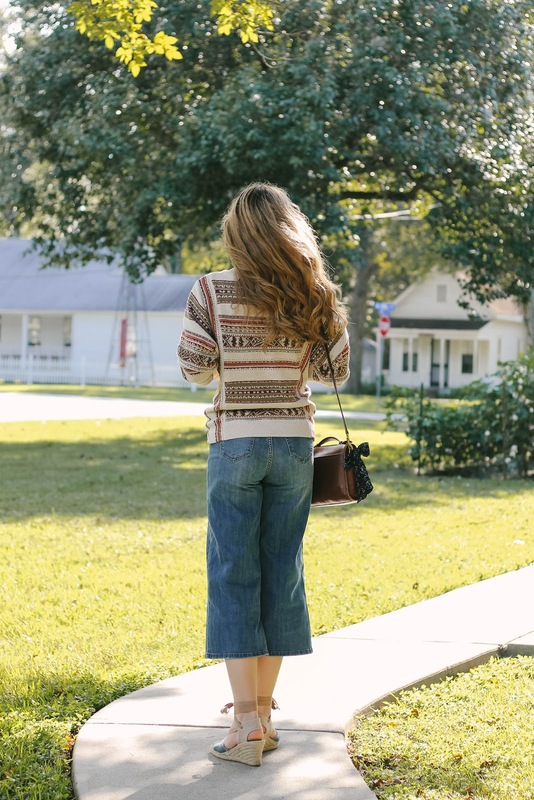 Maybe it is the cooler temperatures that make me reach for my favorite pair of jeans or the fact that they are the perfect piece to style with a cozy sweater:) While I am often known as a "dress" and "skirt" girl I can't help loving a classic pair of jeans, especially after checking out all the fall styles Kohl's has this year! When I was growing up I used to shop at Kohl's all the time with my grandmother! 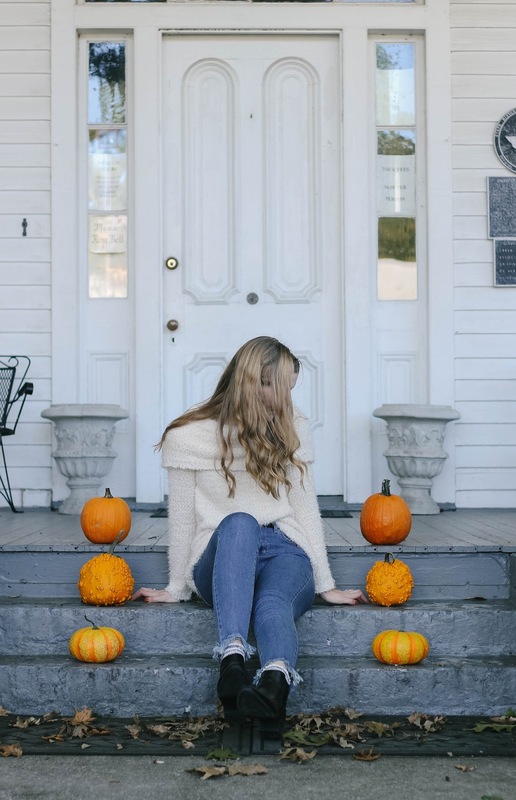 It has been years since I have shopped there for seasonal pieces and I am soooo glad that I decided to see what they had for this fall! 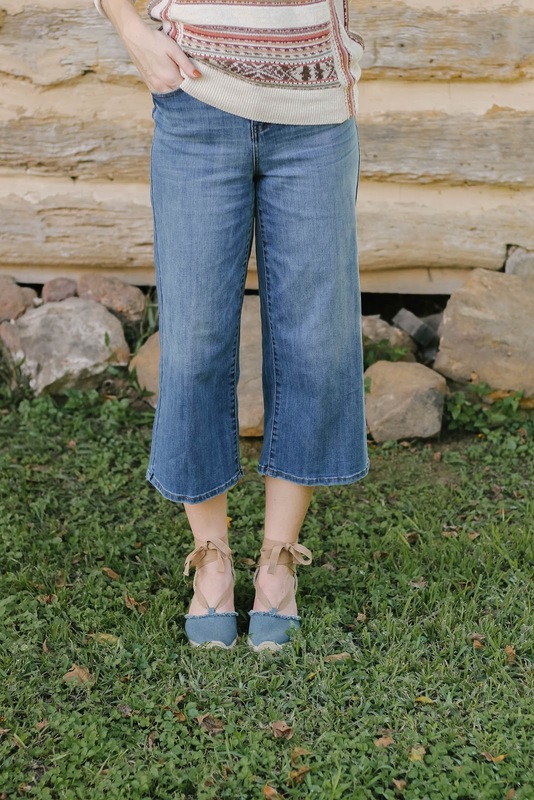 As for the second style, it is definitely more modern, but I love the cut, wash, and distressed fray hem! 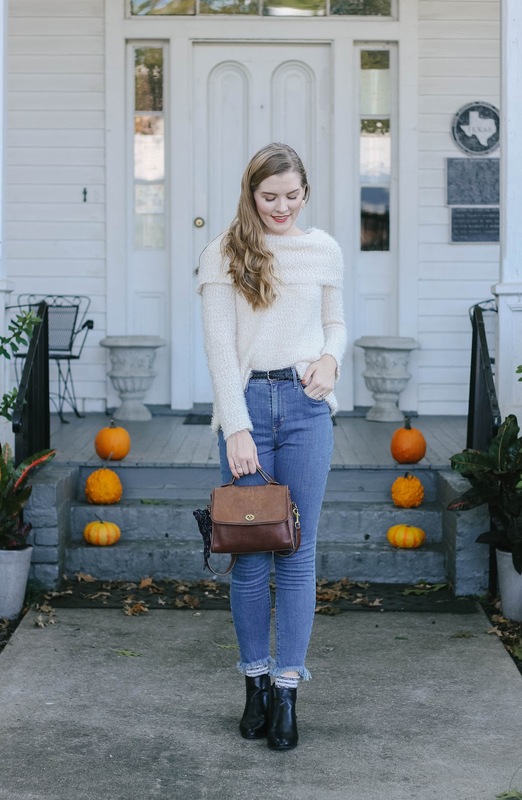 I have always loved Levi denim as a brand, but never actually owned a pair, so I am happy to say they live up to the hype! 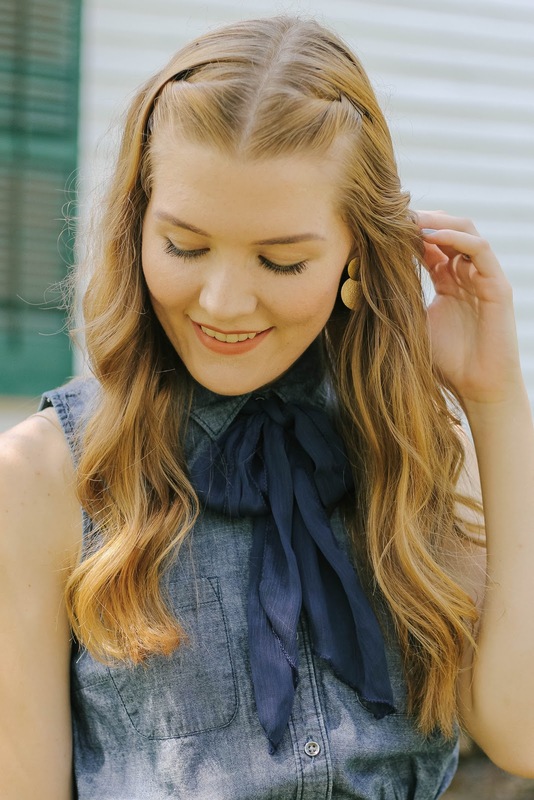 However, when it comes to wearing denim I truly believe it is all about how you style it....sometimes it is all about creating an allusion that makes an ensemble perfect and something you love and feel confident in! 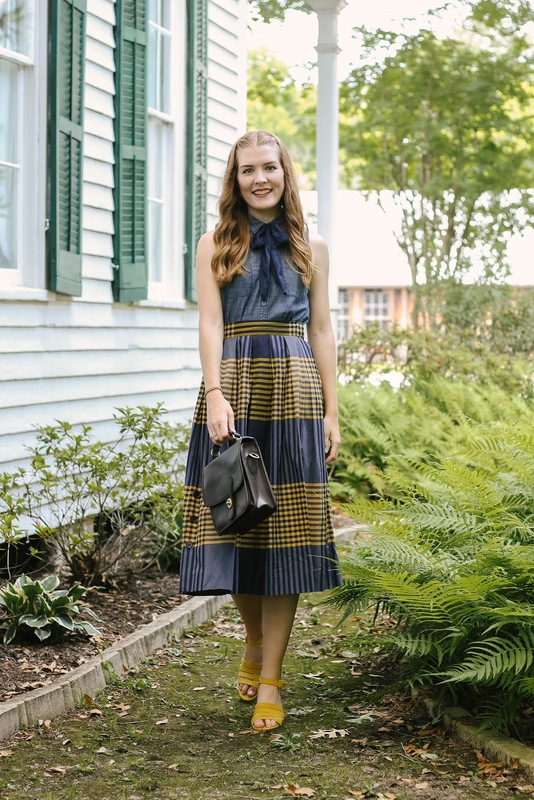 Play With Shapes: As someone who not only loves fashion but teaches design classes, I am often focused on paying attention to elements of design and pairing things that offset each other in a cohesive way. My best advise is to wear a different shape on the top compared to the bottom. 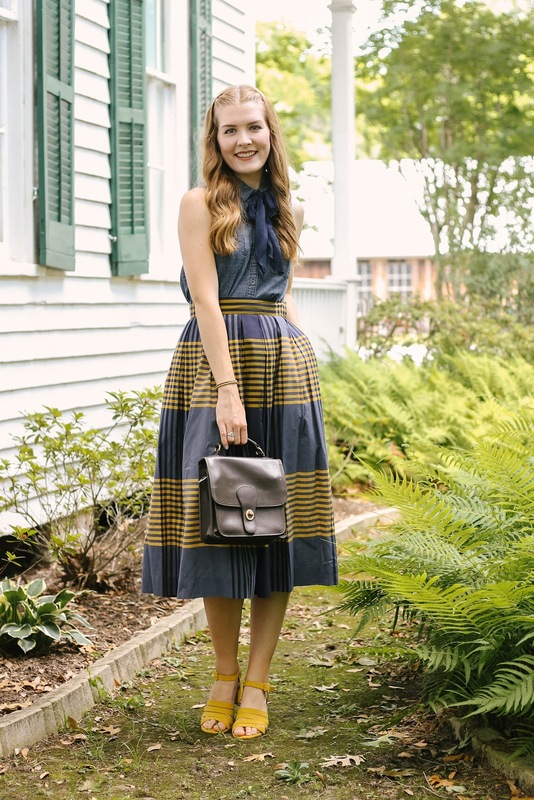 For example, when wearing wide leg denim I either pair a fitted top with it or a top that has a wider collar or sleeves (like an inverted triangle). I like to create hourglass shapes or elongated triangles with wide leg jeans and long inverted triangles with skinny jeans. 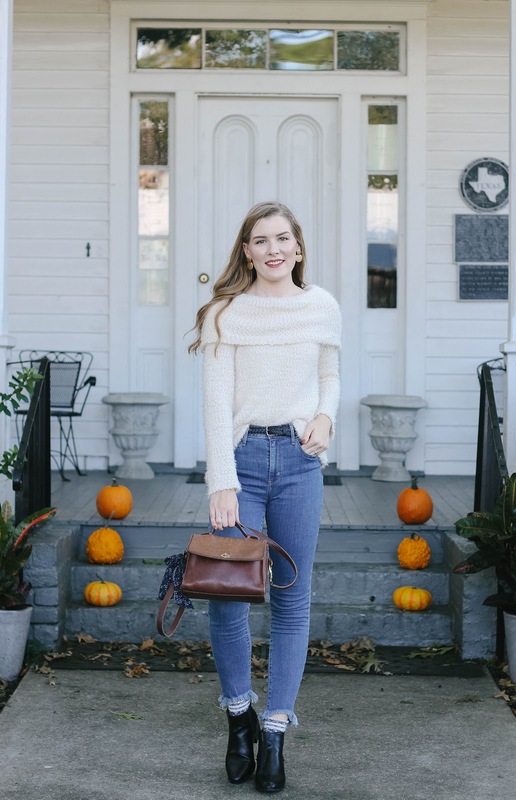 Chunky Sweaters: I am a huge fan of chunky sweaters! When it comes to wearing them I don't mind pairing them with wide leg jeans, but this can sometimes drown you. 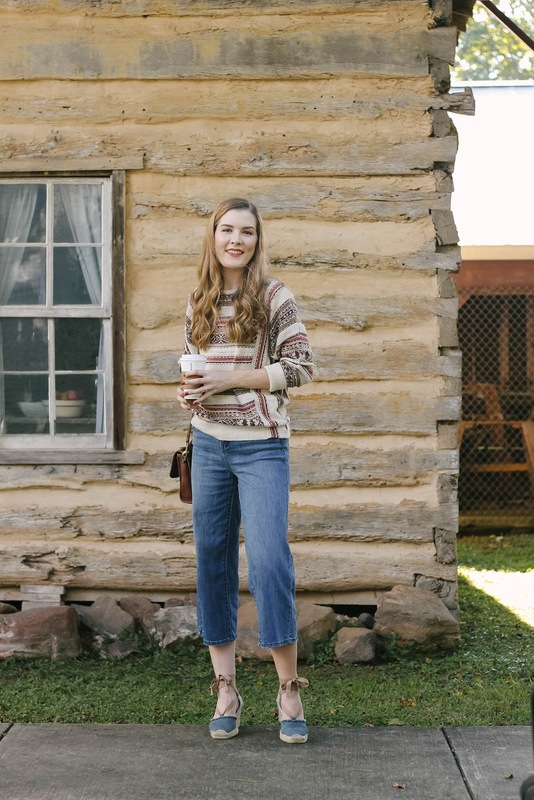 Thus, my favorite way to style a chunky or over sized sweater is to pair it with skinny jeans. This balances the focus between the legs and the torso and doesn't accentuate so much of your upper body. 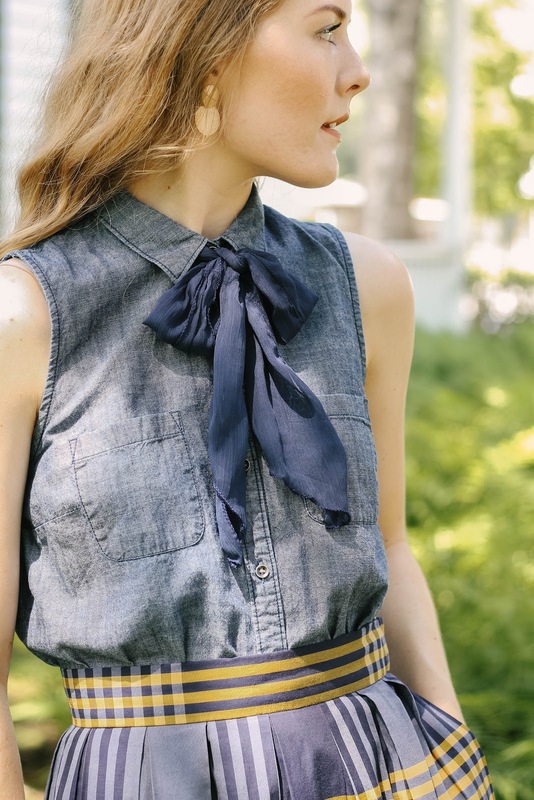 (so often people pair fitted tops with skinny jeans which often seems unflattering because it is all the same shape). 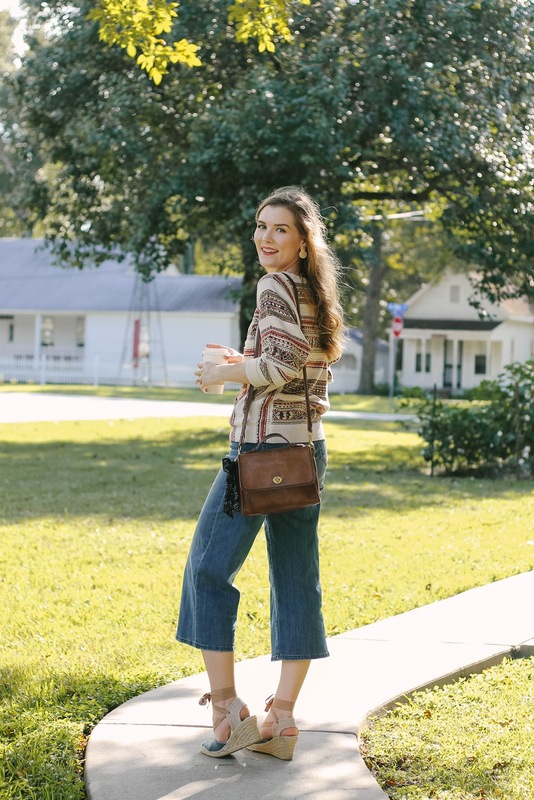 Tuck The Waist: I have always liked the idea of tucking in the front hem of tops and sweaters into the waist of skirts and pants, but after following Rachel Martino I have grown to love it even more! 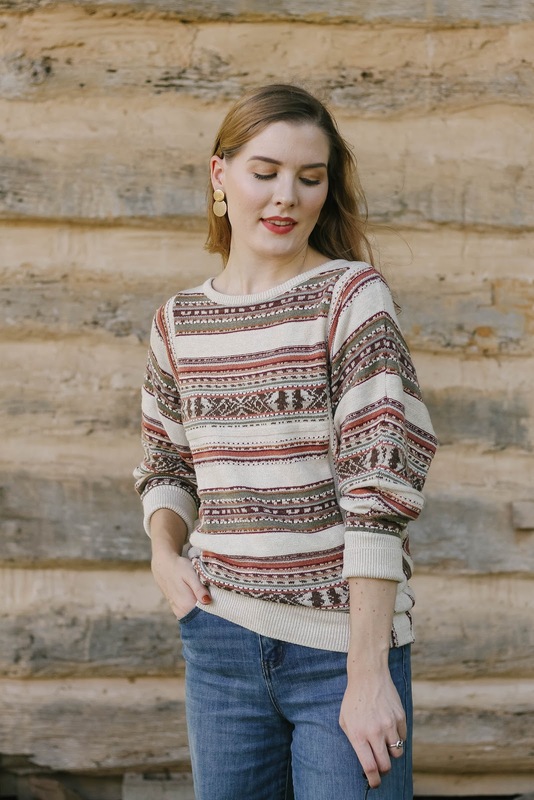 This works well with chunky sweaters or loose tops because it recreates shape and a focal point. 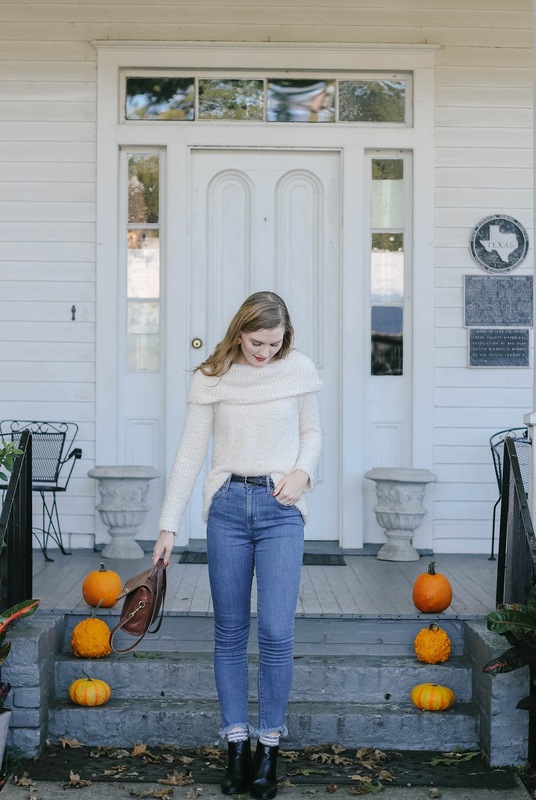 Often times we wear over sized tops with jeans and leave them be (which sometimes works), but this tends to overwhelm our shape, thus tucking in the front hem of a top or sweater into the front of jeans creates a focal point at your waist and gives you a flattering shape. Dark Wash First: I have always liked skinny jeans, but haven't always felt comfortable wearing them. However, when I started wearing dark wash jeans I realized they seem less revealing than light wash, thus I started becoming more comfortable in them. If you are like me, I would suggest trying out dark wash skinny jeans before you wear light wash....it makes a world of difference. Longer Hems When wearing skinny jeans (or really any jeans) you can sometimes be uncomfortable with how tight they are at the back. 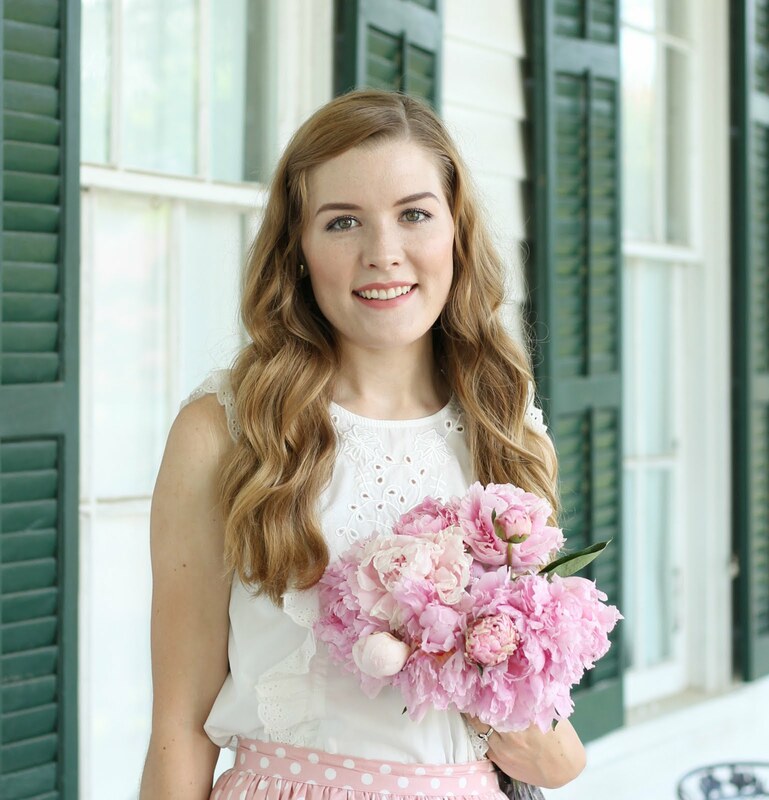 My trick for this is to style them with tops that have longer hems. 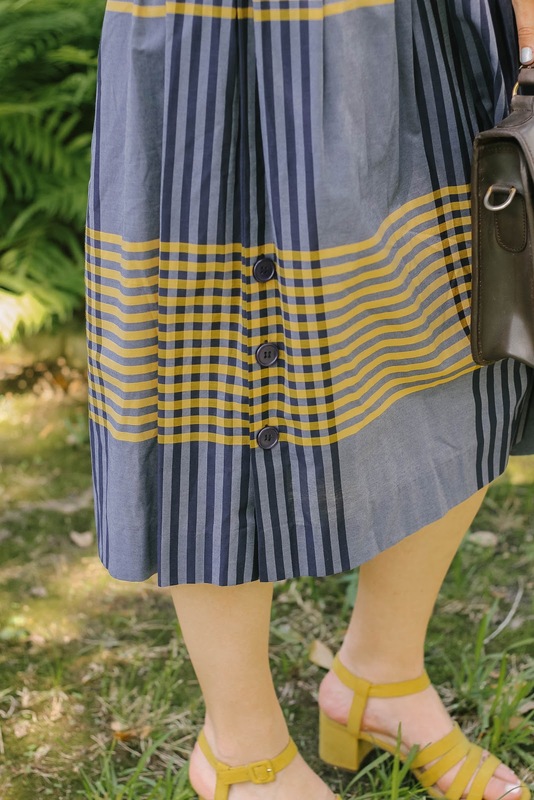 This doesn't mean they have to be tunic tops, but tops with longer back hems or sweaters that are longer. Then tuck the front in! This gives a focal point for the front of your look and coverage in the back. 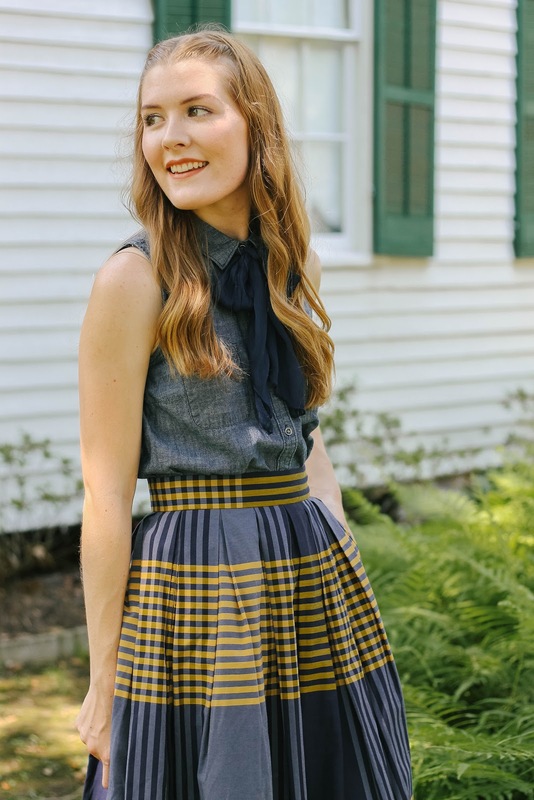 High Waist Is Your Best Friend: If you haven't tried High Waisted jeans you are missing out! 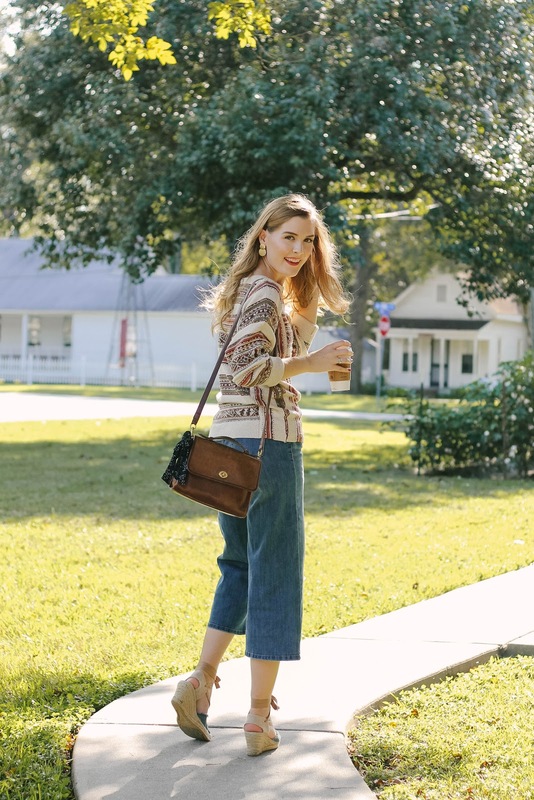 They might have used to carry a stereotype of being "mom jeans" but they are so instyle now and are not only comfortable but flattering! High waisted jeans fit at your natural waist and actually give you shape, plus smoothing out any unflattering lines. Style Up or Down: Don't let yourself get stuck in a box that jeans are only casual. Play around with styling them up or down. 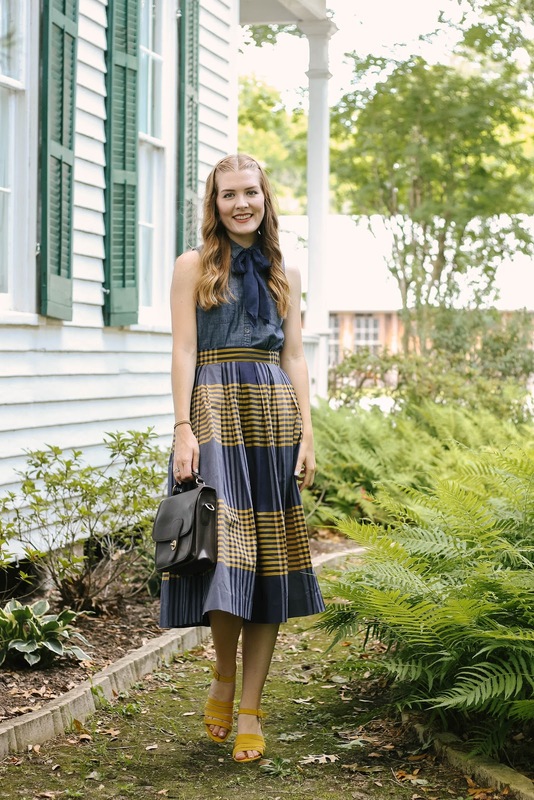 The best way to do this is changing your shoes to heels or a statement shoe, but you can also do this with accessories. Are you a denim Fan? I don't know what it is but there has always been something about Little Women that has always drawn me in! Maybe it was because I grew up knowing the story, or that I watched the movies (all versions) regularly, or that I would always played "Little Women" with my two friends (who were sisters) growing up. Somehow we decided that every time we got together we either had to play Little Women or watch it (the 1994 version). At some point when I was younger I finally read the book and then read "Little Men" and "Jo's Boys". I always loved the story of Little Women because it is one that I could relate to and be inspired by. I even managed to visit Louisa May Alcott’s house in Concord Massachusetts when my family and I visited Boston the Summer after I graduated High School. I recently heard someone say that "Little Women is a story about nothing, but about everything" and I couldn't agree more! Because when you look at it, it really is only a story about a family, but yet it is about love, loss, forgiveness, dreams, family and so much more! Earlier this year PBS came out with a Little Women mini series that I absolutely fell in love with (I've seen it multiple times and could easily watch it again). Then this weekend a new modern adaption movie of Little Women came out and it was soooo good! It reminded me once again how much I love the classic story and why, and since it was a modern retelling it truly did show how the story applies to our modern day just as much as it did to the days when Louisa May Alcott wrote her famous book! I think that Little Women will always be one of those stories (and books) that holds a special place in my heart because of all the lessons it teaching and the heartfelt inspiration it brings to life! 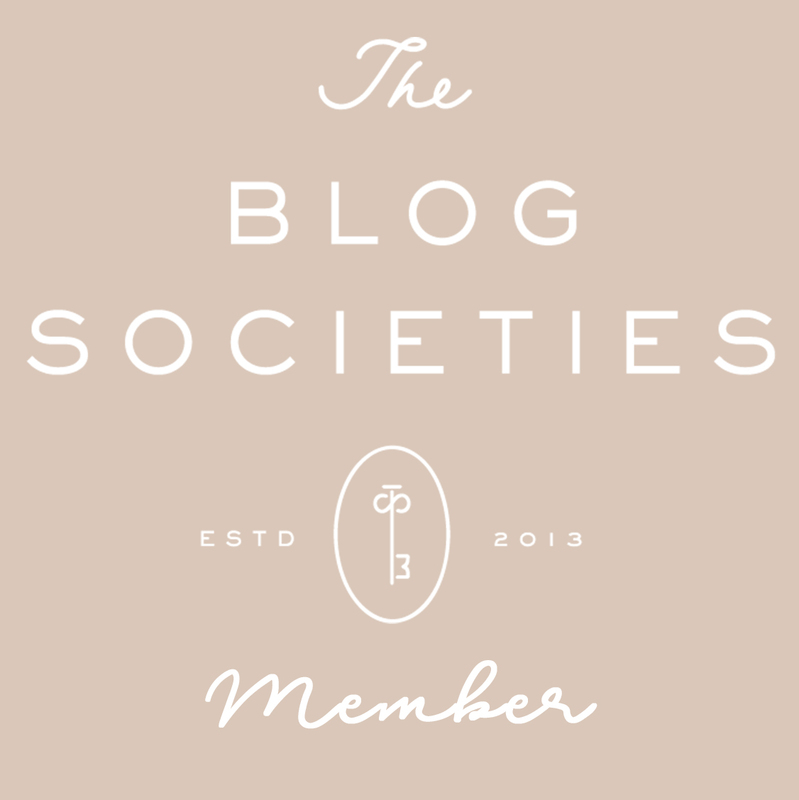 Are you a fan of Little Women?